ver the last few weeks, five different polling organizations have come out with snapshots of how the California electorate is leaning on Proposition 6, the constitutional amendment that would repeal last year's fuel tax and vehicle fee increases and require voter approval of any such hikes in the future. A day before the election, the only thing the polls tell you with absolute certainty is that the way you ask a question matters. A lot. Two of the polls -- one from UC Berkeley's Institute for Government Studies and one from Stanford's Bill Lane Center for the American West -- showed likely voters rejecting the repeal effort by 13 to 16 percentage points. A survey from the Public Policy Institute of California suggests Proposition 6 will fail in a fairly close vote -- with the no side 7 points ahead. A fourth, from USC, indicates the race is a dead heat. That leaves one other poll trying to divine the fate of the gas tax repeal, from New Jersey-based SurveyUSA. That firm's sample of likely voters, taken about the same time as all the others, suggested that voters supported the repeal by a blowout margin of 58 percent yes to 29 percent no. There was an obvious explanation for the difference. The first four polls asked respondents about the language they're seeing on Tuesday's ballot — the proposition's official title and summary. The Berkeley IGS, Stanford and USC polls, all conducted online, used virtually identical wording. Among those four surveys, support for Proposition 6 was cool to tepid, ranging from 34 percent to 41 percent. It should be noted at this juncture that the ballot title itself is the source of some controversy. The Republican leaders of the Yes on 6 campaign have accused the state attorney general's office, led by Democrat Xavier Becerra, of trying to mislead voters. However, a state Court of Appeal panel upheld the attorney general's wording, finding it "does not mislead the voters or create prejudice against the measure." 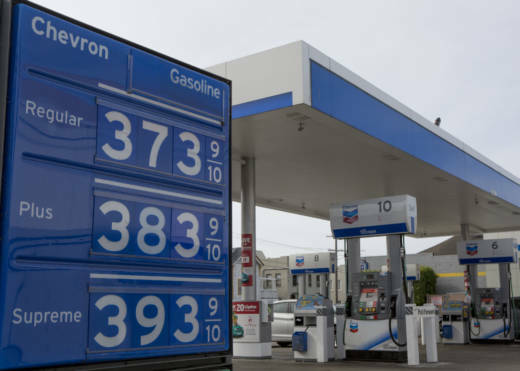 "Proposition 6, a constitutional amendment which would repeal gasoline and diesel taxes, and vehicle fees, that were enacted in 2017 and would require any future fuel taxes be approved by voters. A YES vote on Prop 6 would repeal fuel tax increases that were enacted in 2017, including the Road Repaid and Accountability Act of 2017. A NO vote on Prop 6 would keep the fuel taxes imposed in 2017 by the California Legislature in place, and would allow the Legislature to impose whatever fees and taxes it approved in the future, provided two-thirds of the California House (sic) and two-thirds of the California Senate approved. On Proposition 6, how do you vote?" Given the question's emphasis on the repeal terminology and its argumentative suggestion that a no vote will leave the Legislature free to levy further taxes, it's not shocking that SurveyUSA found rabid support for Proposition 6. But among those who took note of how sharply the SurveyUSA numbers diverged from those of other pollsters was SurveyUSA itself. CEO Jay Leve said Monday the disparity prompted the company to perform what amounted to a do-over last week. The company conducted a poll last Thursday and Friday in which a group of 913 voters, who said they had already returned their mail-in ballots or were about to, was split roughly in half. One group was asked SurveyUSA's original question; the other was asked to respond to the PPIC wording. When asked the PPIC question -- the one reflecting the actual language on the ballot -- SurveyUSA's respondents were 44-41 in favor of Proposition 6, with 14 percent undecided. But given the poll's small sample size and unusually large "credibility interval" -- plus or minus 7.2 percentage points -- the race is too close to call. Separately, 52 percent of the group that was asked the original SurveyUSA question -- the one emphasizing the repeal -- said they supported Proposition 6, with 40 percent saying they opposed the measure. The statistical uncertainty in that sample is plus or minus 6.2 percent. "Pollsters live by the sword, they die by the sword," SurveyUSA's Leve said. "We're prepared to take our lumps if this measure is defeated soundly. Should it eke through, we'll be happy to take our victory lap and say, 'OK, we're glad we did our research.' "
Mark DiCamillo, director of UC Berkeley's IGS Poll, said in an interview with KQED's Scott Shafer last week that his organization's survey used the actual Proposition 6 title because "we're trying to replicate the ballot. We're trying to give voters the same cues they're gonna see when they go to vote -- whether they vote by mail or go into the precinct to vote." He said the ballot language is "certainly skewed toward the no side" and that asking directly about the tax and fee repeal would probably show more support for the measure. But pollsters, he said, "can't really push things one way or the other if we disagree with the summaries that are on the ballot. It's literally what voters are going to see. So in our judgment as pollsters, it's your best cue ... is to just show voters what the ballot says and see how they answer the question." Two Northern California political scientists who have been following the polls say they're inclined to believe surveys that use the ballot language -- and show weakening support for the gas tax repeal. "The trend should be trusted for a couple of reasons," said Keith Smith, an associate professor of political science at the University of the Pacific. "One, traditionally the closer we get to an election, the more opposition there is to any initiative. ... Historically, you need to be polling well ahead in order to feel confident going into the election." He said the second reason -- reflected in a finding of the USC poll, taken between mid-September and mid-October, reporting that 45 percent of those surveyed were not familiar with Proposition 6 -- is voters' lack of knowledge about the issues they're being asked to decide on. "A lot of people who are going to vote, the only thing they are going to read about the initiative is what's on the ballot," Smith said. David McCuan, a professor and chair of the political science department at Sonoma State University, agreed. He said it's important to remember that most ballot measures fail in California and that most voters tend to default to the no position when deciding how to vote on them. "If they are unsure or uncertain what to do, they will maintain the status quo," McCuan said. "That means they'll vote on the defensive -- they'll vote against things." McCuan said the Republican-led Yes on 6 effort is fighting other disadvantages in trying to win "purple" independent and centrist Democratic voters who might be sympathetic to their message. In the face of aggressive fundraising from the No on 6 side, the repeal drive has suffered from a lack of campaign cash. And traditional GOP allies from the business sector have joined the Democratic/labor coalition trying to defeat the initiative. "Ballot measures lack partisan cues — you don't see a 'D' or an 'R' after a ballot measure," he said. "So you have to sort of figure out and wade your way through. If you're voting in a defensive way and unsure what's going on, voters use shortcuts to make a decision. So the yes forces have a simple slogan -- 'Repeal the gas tax' -- as an opportunity to go after those purple voters." McCuan said the repeal campaign "didn't really get the resources or the backing from the Republican establishment or from groups that would normally be on their side, like the Chamber of Commerce or the (California) Business Roundtable -- groups that helped move forward the gas tax because of transportation or building projects."